Established in the year 2001, “Sheriff International” is counted amongst the prominent manufacturers, wholesalers and suppliers of a comprehensive range of Sports Wear and Uniforms. Our product range comprises Sports Uniforms, Shorts, Track Suits, Lowers and Sports Uniforms. These products are designed in syn with the latest fashion trends and are available in various designs, colors and patterns. 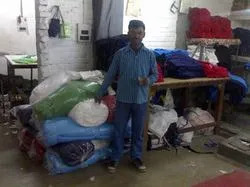 We follow quality oriented approach in manufacturing our range of garments. 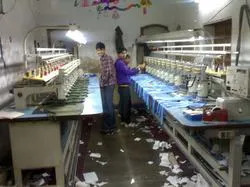 In addition, we manufacture our products using high quality fabrics and threads. Our state-of-the-art infrastructure and in-house design unit help us in offering flawless range. The team of experienced and diligent professionals is expert in handling various manufacturing process. Further, our wide distributional network helps us in delivering our range in different parts of the country within stipulated period of time. Under the able guidance of our mentor, “Mr. Sandeep Kakkar”, the company has mustered a broad clientele across the country. His continuous efforts and supervision have enabled us to gain respectable position in the market. This set-up has helped us in accelerating our production capacity and enables us to manufacture 15000- 20000 pieces of garments each month. Moreover, our robust distribution network allows us to deliver the products conveniently. Our infrastructure is well connected with roads and all the transportation modes. We are an eminent manufacturer and supplier of Sports Wear and Uniforms. Our collection includes Sports Uniforms, Track Suits, Lowers, Sports Wear and Shorts. Apart from mentioned products, we also offer game sets. 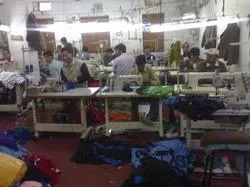 All the garments are manufactured using excellent quality material. We offer customized range of sports wear based on specification given by the clients. Backed by robust infrastructure, our endeavor is to fulfill the diverse clients’ requirements with adeptness. Apart from garments, we also provide customized packaging facility. Team is an indispensable part of any organization. We are supported by experienced professionals, who constantly endeavor to establish ourselves as a prominent sports wear manufacturer. Our workforce also helps us in offering quality range of sports wear for men, women and kids. We provide regular trainings to our professionals and help them remain updated with changing trends of the market.